NEW YORK—Football viewers across the nation announced Tuesday that a lackluster performance, inaccurate predictions, and a failure to acknowledge shortcomings have led to an increased distrust in so-called NFL experts. "First they had Green Bay over Arizona, then Dallas over Minnesota, and of course they just couldn't see the Jets winning," said 46-year-old New Jersey resident Tom Nicholson, who called on authorities to investigate how long NFL experts have been misleading the American public. "I don't know who to believe. The more I think about it, the more I realize that these self-appointed 'experts' are wrong a staggering percentage of the time. Why, I ask you, does all that pregame analysis become inconsequential once the game actually begins?" 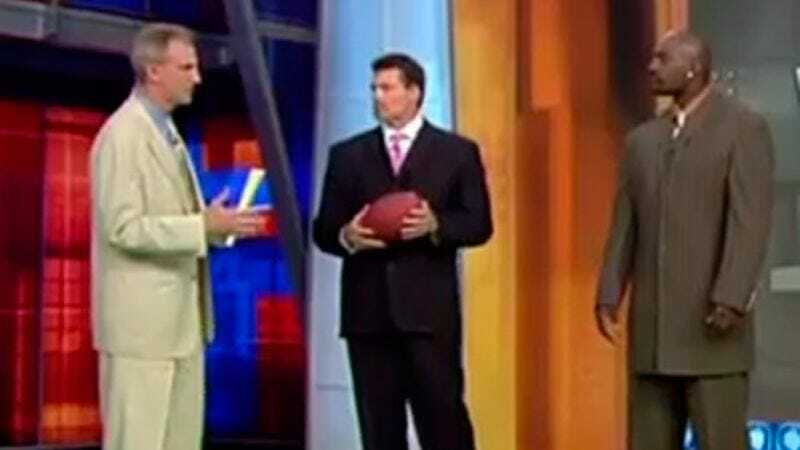 A majority of Americans also noted that in instances where analysts are correct, as is often the case with Cris Collinsworth and Merril Hoge, the commentators are so insufferably smug that it makes them unwatchable.